Many people seek to have a rhinoplasty because the nose is the most defining feature on the face. At the Beverly Hills Center for Plastic & Laser Surgery, Dr. Ben Talei, a dual board certified facial plastic surgeon specializes in nose surgery that can improve the overall appearance and function of the nose with natural results, using his rhinoplasty surgery techniques. 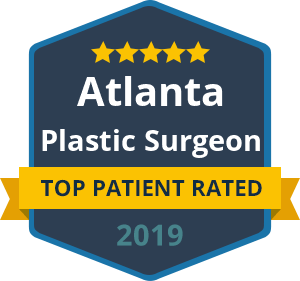 Dr. Talei is part of a small group of surgeons nationwide who perform the majority of their rhinoplasties closed (without any external incisions or scars). It provides patients less bruising, less swelling, faster healing time and virtually no sign that a rhinoplasty was performed. He is also one of a few surgeons in the country to have advanced the field of 3D telescopic rhinoplasty which provides high definition visualization of structures that were difficult to access with older techniques. What this means for the patient is less trauma, less bruising and a better overall result. The corrections that can be made to the nose are virtually endless and certainly unique to each individual. Dr. Talei can correct a short or long nose, increase the tip length or just refine it, reduce the nasal bridge and eliminate a nasal or dorsal bump. Heading a referral center for revision rhinoplasty, Dr. Talei has also pioneered advanced techniques for nostril refinement and lightening. Commonly encountered in our center are harsh nasal characteristics remaining after rhinoplasty surgery, which other surgeons failed to identify and treat. Dr. Talei has the unique ability to soften these nostril and nasal characteristics with invisible incisions, making the nose appear softer and more pleasant to the eye of the beholder. During the surgical consultation, Dr. Talei will take several factors into consideration such as skin type, ethnicity, the level of deformity and the overall function of the nasal structures, before determining the right procedure for you. He has a keen eye and understanding of the harmony and balance of the entire face and not just the nose. Just as no two people are alike, no two rhinoplasty surgeries are the same. Dr. Talei does not use a cookie-cutter approach, but he looks at each patient individually. He will listen to your goals for the surgery and plan the best approach that improves the appearance of your nose. Dr. Talei will give you the most natural results while also restoring balance and harmony to the face. Rhinoplasty can be made through an open or closed approach. The open approach requires that a small incision is made across the nose, while the closed approach is a surgical procedure that is performed inside the nose. Dr. Talei has dual fellowship training in facial cosmetic and reconstructive surgery and vascular birthmarks and congenital anomalies with laser surgery. His expertise and surgical skill-set will leave you with a more aesthetically pleasing nose while maintaining the functionality of the airways. Contact our rhinoplasty surgery specialists at the Beverly Hills Center for Plastic & Laser Surgery today to schedule a consultation. We look forward to helping you.